Kumquat season is almost here. I am picking the first ripe ones on my morning strolls through the garden, I love my Kumquats! The Meiwa variety has large, round fruits, very sweet and juicy, best for eating right off the little tree. The Nagami variety has the well-known tart, oblong fruits. Those I use to make Marmalade, Chutney and Liqueur. The Kumquat trees are the easiest of citrus trees, grow them in full sun and they are happy. 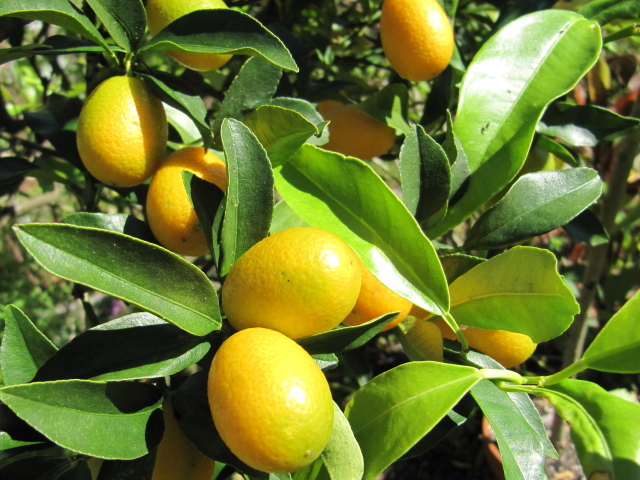 Kumquat are naturally small trees, so they are well suited as a container plant. The tree goes somewhat dormant during the cold months and are hardy to 26F ( I was told even to 18F, but it never got THAT cold in Central Florida). 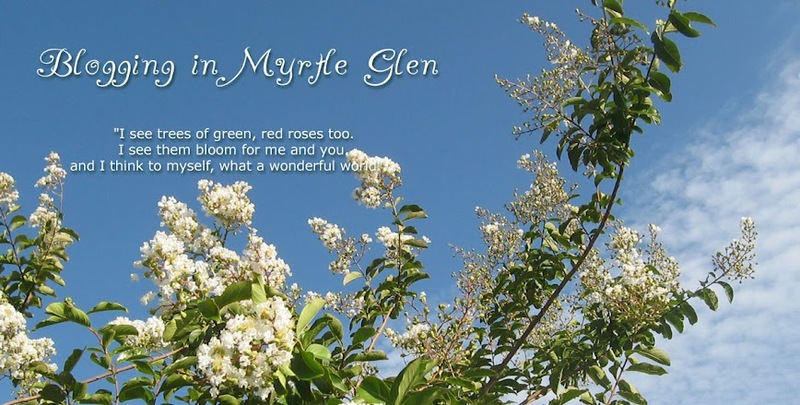 The are pest free, except for Leaf Miners, but besides making the leaves look ugly, they don't seem to hurt the tree. Eat the entire fruit, the peel is sweet and the flesh is tart. Slice each Kumquat into half, squeeze the seeds out, and cut the Kumquats into thin slices. Cut the Lemon in quarters, remove the seeds, and cut into thin strips (I use the veggie grater), add all to the Kumquats, peel, flesh and juice. Add enough water to cover the fruit and let sit overnight in a cool place. Next day bring the fruit and water to a boil and simmer gently until the fruit is tender, about 2 hours. Measure the mixture and add an equal amount of sugar. Bring to a boil and cook slowly until the jellying point is reached, this should take about 30 minutes. Add the orange flavored liquor, bring to a quick boil. Fill the hot marmalade into sterilized jars and seal with your favorite method. Omit the Alcohol and add chopped red hot chili peppers. This tastes yummy with crackers and cheese, as dip for stuffed jalapenos or as condiment with Thai foods.